Uroscopy - the diagnosis of disease by visual examination of the urine - played a very prominent role in early modern medical practice and in the lives of ordinary people. Widely considered as the most reliable way to diagnose diseases and pregnancies it was taught at the best universities. Leading physicians prided themselves on their mastery in this field. Countless medical writings were dedicated to uroscopy and artists represented it in hundreds of illustrations and paintings. 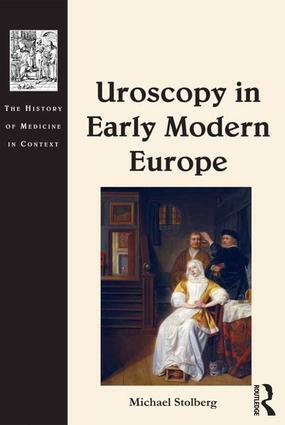 Based on a wide range of textual and visual sources, such as autobiographies, court records, medical treatises and genre painting, this book offers the first comprehensive study of the place of uroscopy in early modern medicine, culture and society and of the - gradually changing - ways in which medical practitioners, lay persons and, last but not least, artists perceived and used it. Michael Stolberg is chair of the history of medicine at the University of WÃ¼rzburg, Germany.